it recognises that social enterprises represent an important part of business and community life and will contribute significantly to a more inclusive Scotland. The document after introduction breaks down the political, social, economic and technological ‘plausible’ trend ‘predictions’, and overall the ‘predictions’ can be evidenced from within the sector. Although this has been identified the strategy seems to have a few over ambitious ideas in regards to addressing these. This will be further discussed by the research team in the coming weeks. The majority of these ambitions (3 out of 5 in particular) are things that social enterprises have already been striving for, they have been working hard to tackle inequalities, they have been committed to building stronger communities and their dedication and devotion to making a difference shows just how entrepreneurial and innovative Scottish social enterprises are (figures can be found in the Social Enterprise Census, 2015). So it can be perceived that they have to continue doing the significant work that they have been and will have done despite the strategy but hopefully with Government collaboration it will provide further opportunities for local communities. Although the strategy reads supportively, optimistically and praises the work of the social enterprise sector there are still a number of uncertainties. There are some things that do not align with the strategy at all e.g. cuts in funding support particularly in rural communities. The strategy’s priorities that give what looks like a great structure in fact has some very grey areas regarding just how they are going to deliver on some elements. There is concern about how much is known regarding social enterprise operations. The sector may be understood but its extensive diversity and how it operates is a lost throughout the strategy…. Project 6 – Meaningful Measurement? For the past two months I have been immersed in Aberdeen Foyer getting to know everyone and everything regarding their impact measurement processes. It has been a fantastic experience and at times provided more questions than answers! But as a researcher it just sparks my curiosity. Throughout the project we have been using the term ‘meaningful measurement’ as it fits well with what we are trying to establish through our research. Many social enterprises find measuring their impact a chore rather than a meaningful activity. Measuring soft outcomes can be particularly difficult. You may have a variety of colourful and visual reports, spreadsheets and statistics but does it really mean anything? There is always uncertainty around whether they are measuring too little or too much, and with most social enterprises they are measuring what is required by funders. After an initial feedback session to senior management the project will now feedback to all staff, accompanied by a lean thinking session. A change team at Foyer will then be developed to lead on everything regarding measurement processes from within. I look forward to providing further updates and to discussing the work with the other researchers on the project team. Posted on November 4, 2016 February 27, 2017 Author melanieliddellCategories UncategorizedLeave a comment on Project 6 – Meaningful Measurement? Earlier this month the Yunus Centre held their annual John Pearce Memorial Lecture focusing on community and social enterprise in a Scotland within Europe, an insightful lecture that really got you thinking about the challenges of the sector and the diverse perspectives of the community. Pauline Graham, Chief Executive of Social Firms Scotland (SFS), joined us this year to provide us with a great lecture drawing on her own experiences and involvement with the government and third sector. Before joining SFS Pauline managed the Social Economy Scotland Partnership at SCVO attracting over £5million in EU funding to support social economy developments in Scotland. Pauline is an inspirational woman representing Scotland at European Commission level, and social enterprise on a range of government and Third Sector fora. She is the founding director of Ready for Business Procurement LLP, and has co-authored several publications related to the sector. It was a great opportunity to hear her speak, providing the researcher brain with some food for thought…. An interesting development, but debatable win for the sector is that the Government have committed to a 10 year strategy for Social Enterprises reflecting the sector’s confidence and finally giving a baseline, this is due to be launched in November. It will be interesting to follow this development. Some emerging questions from this development include: in a sector so diverse, dynamic and continually evolving is it possible to formulate a 10 year strategy? The sector could look completely different in the next year never mind the next 10 years. 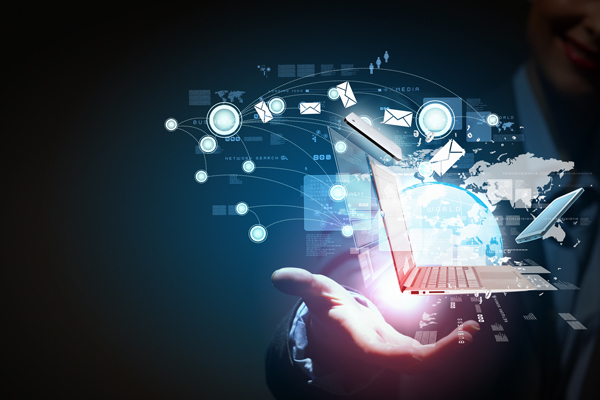 Any such strategy will need to be adaptable and flexible to the ever changing needs and developments within the sector. Will the strategy be able to adapt in a timely manner to the changing needs of the communities that social enterprises serve? 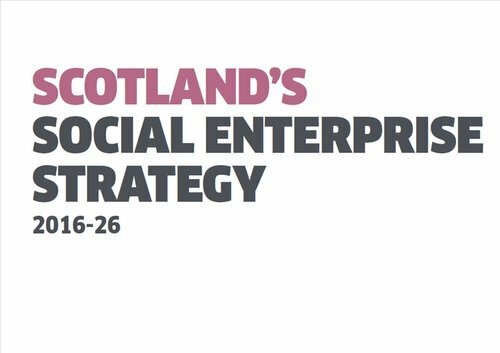 Last year’s Social Enterprise Census in Scotland turned a spotlight on the fact that 36% of social enterprises did not say that they identify as a social enterprise. This could make buy-in to the Governments 10 year strategy challenging. Having come across organisations that do not self-identify as social enterprises, it is an interesting perspective where more research could be beneficial to find out why these organisations do not identify as social enterprises. What do they identify as? And how do they see themselves within the sector? There are two sides of the government strategy: how will this 36% (an astonishing 1366 organisations) respond and relate to the strategy? Graham also reflected in her lecture on the values that student work placements in social enterprises have, do such placements offer added benefits over placements in private and corporate organisations? How can students apply their ideas, knowledge, skills and learning to help social enterprises? Should schools and universities be providing more placement opportunities within social enterprises? What about the value of such placements for skills such as citizenship and innovation? Pauline mentioned that a key focus for the future is collaboration. Think about what could be achieved if all the offices involved (including Government) could work together to address the needs of our communities!